Claymation is the talk of the town ever since ACMI's exclusive Wallace & Gromit and Friends: The Magic of Aardman Exhibition opened at Melbourne's national museum of film, TV, video games, digital culture & art. This extraordinary display saw some 350 objects exploring the Aardman Studio's impressive 40 year history and ran for an extended season. 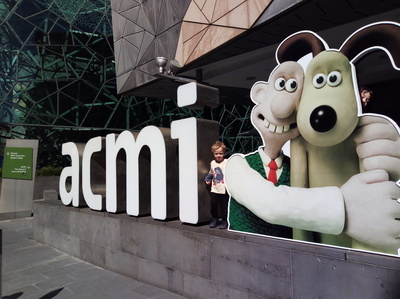 Although the exhibition has now left Melbourne, the inspiration behind the Aardman Studio has left a lasting impression. Melbourne children can participate in workshops during the weekends & school holidays at ACMI, so that you too can try your hands at stop-animation using the materials, technology and teachings available at the ACMI. We took part in the first "Family and Friends Claymation Workshop" in October, much to the delight of both children who are 100% inspired by the art of animated clay after immersing themselves into all things Aardman. 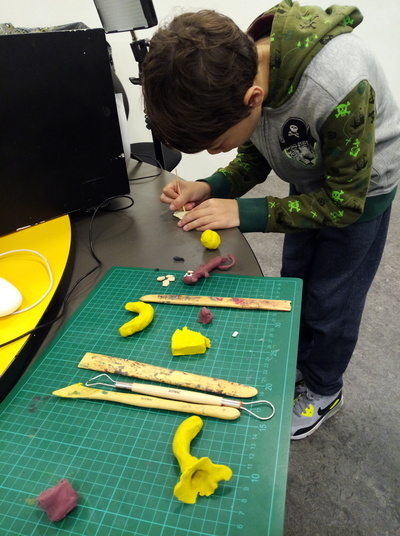 Claymation workshops at the ACMI involve all members of the family, ideally aimed at children age 6 plus. That said we had our 3 year old join in the fun, crafting with clay inevitably his favourite thing. 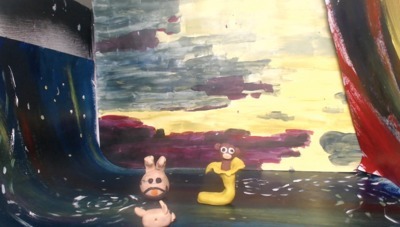 Over the course of the day we were introduced to the innovative world of claymation; from storytelling, crafting characters, shooting scenes using stop-animation software and equipment, editing, recording and adding sound effects. Everyone in the family is encouraged to participate in this workshop. It is after all, a family affair. Each member of the family has the responsibility to craft a clay person or creature and together they all become part of the story. At the end of our workshop we took home a USB stick of our finished masterpiece; a short clip within a longer story finished by the other families in the group. Our 9 year old was so proud of our take home claymation video, he took the USB stick into school the following day to show his teacher and friends. He's watched it over and over again numerous times. With an experience such as this, you're probably wondering if it is an activity you can continue at home. You can. You obviously won't have access to the equipment that is available to you during a fully functioning workshop using ACMI's high tech equipment, but stop-animation apps are readily available on iPads and desktops. 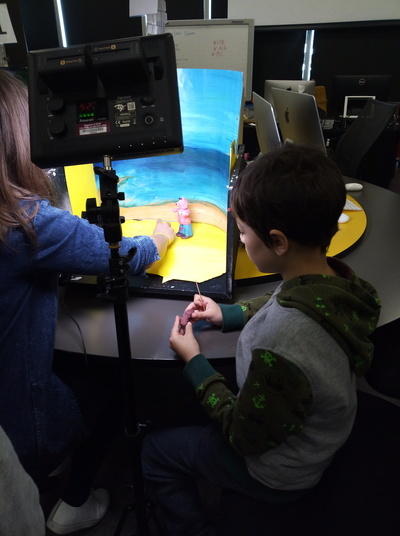 It is realistic and entirely possible that your family, the kids especially, will continue their love for crafting claymation stories and videos well into the future. We have a feeling this will be the start of something bigger for our own 9 year old who has very much taken to the art.